Classic playing cards with 3 jokers. 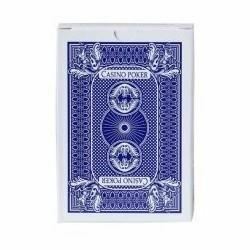 These playing cards are the right size for poker. They can of course also be used for the usual card-playing games or for making card houses. The cards are supplied in carton box. Laminated quality cards from Rasmussen. Blue back.